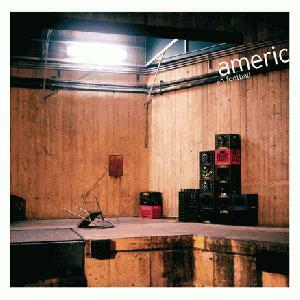 Review Summary: American Football's debut EP is short and chock full of brilliant guitar and poignant lyrics. The sound that comes out of American Football’s amps is just about as good a clean guitar tone as there is in the world. The actual playing is technical, but in a very subtle way; everything flows like a liquid, heavy with reverb. Singer Mike Kinsella’s voice and lyrics are very much the same way: subtly brilliant. At first, his voice almost seems more like an instrument, the lyrics are almost an afterthought, as they are far from hooky and delivered in such a fashion that one really has to pay attention to piece full lines together. During a section of Letters and Packages sparsely populated by anything other than soft drums, he sings As a result of my history I'm afraid I'll let you down. If only we were older in a tone that almost sends chills to one’s spine. With American Football you can kind of zone out, after a while everything blends together in a really relaxing way, and still find yourself enjoying the music. But, when you string together Kinsella’s words, and hear the full sentences, you find out exactly how brilliant and poignant American Football really is. This EP is short, three tracks in less than 12 minutes, but is well worth it if you find yourself enjoying their LP. The songs aren’t the same, but they could easily all fit together on one disc. And what a disc that would be. Really short review, really short EP. Great review, nice little ep. I really like their full length, so I might check this out. First paragraph was a good description of the sound. Do you like the band at all? This band is addicting to me. This is a really great EP, I'd give it a 4 if it were slightly longer. I've only got the album. There's plenty of copies of this going on ebay for like 99 cents though so I should get it. More description on individual tracks (even just one) and maybe a few more lyrical examples might have rounded off the review better. I didn't even know this existed. I'll check it out. Thanks, good review, short but informative enough. Has to be one of the best ep's that I've ever heard. Even though it's only three songs they're all so great in different ways. hey man, i really like this review. you described their sound perfectly. especially when you said that the lyrics are like an afterthought to the music. so true. lol failed to notice emeritus status....i derped. Gotta check. Love their other one so much just got it on vinyl.